Life Is What Happens: The Aspects are Good!!!! So far the aspects are good for the week of 11.11.11. In fact I was just out walking on a beautiful sunny Sunday when I saw...God. 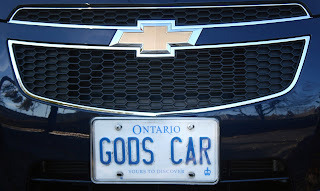 Well I saw his car, at least - look I have proof! I didn't go up and knock on the door. I just felt that I wasn't really ready to meet him - not yet anyway...you know not dressed for the occasion﻿. Anyway he was prbably in visiting someone who needed him more than I needed to meet him. 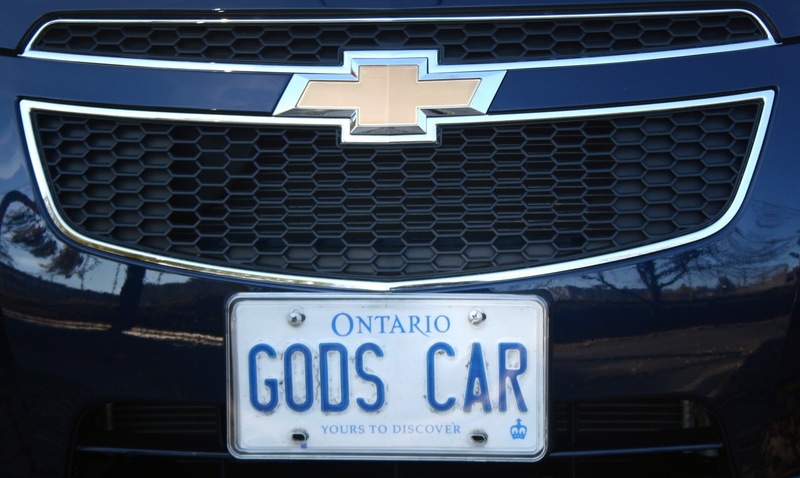 Anyway, I took this as a good sign for an auspicious week - just don't let the Ford Motor Company know that God drives a Chevrolet.....this could have major implications.....be sure to post your "finds" for this week and/or your 11's sightings.